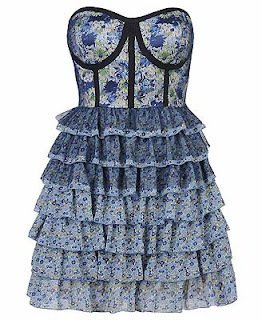 The corset dress is everywhere! I'm sure you've seen these dresses around. 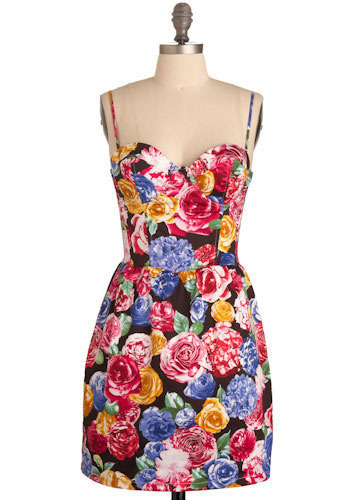 So I really want to call this the Taylor Swift Dress Post. 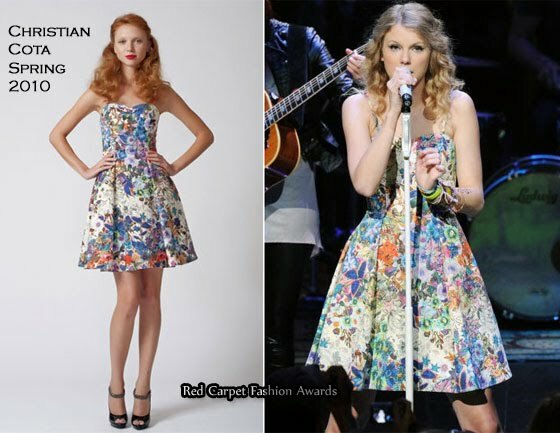 But it's not just Taylor; I've seen these cute (and some not so cute) dresses all over stores, magazines and online! 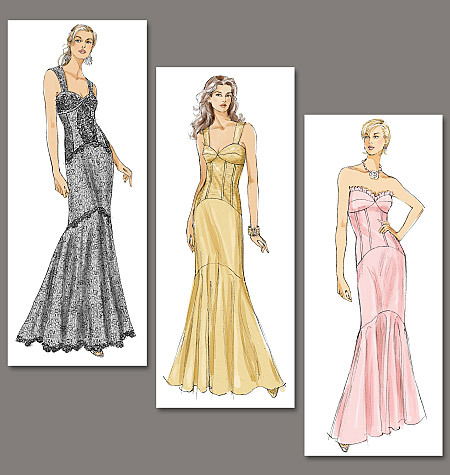 Some are more attractive than others, of course, but that's just a small sampling of all the cute corset dresses--and there's quite a bit of variation on style details, actually! It's a super fun style, but there are pretty much no patterns readily available that I've found (let me know if you know of one!). I thought about using a bra pattern and drafting a bodice/midriff to add to it, but I also considered just seriously altering this 90's-ey Vogue special occasion pattern, Vogue 8288--I ended up just using the top 1/4 of it and giving it a natural waist and a waistband, and a gathered skirt. I used a very cute summery blue plaid with a knobby texture that my mom saw at Goodwill and thought I would like. Fabric there is so cheap! I think it was $2.99 for the whole piece, which was three or four yards. I imagined a couple different styles for it, but since it's just a soft lightweight cotton I could see it being sort of frumpy if I made it into something with sleeves or any looseness up top. So, it was perfect for something like a corset-cut dress! SOOOOOO cute. I love it, way to go! I didn't even know about the corset dress, guess I'm out of the loop. But its very cute & yours is adorable! Great job!! When I saw this posts, I was thinking of the same pattern Bishojo posted. really cute! I love the fabric. 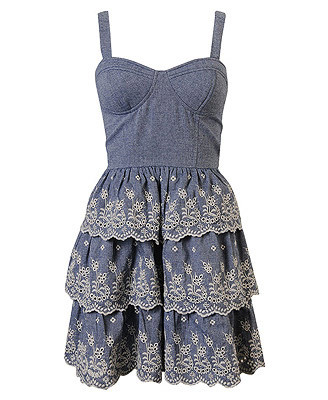 Cuuuuute dress! I have problems with cups so strapless dresses are not my forte. Your's came out super cute though! 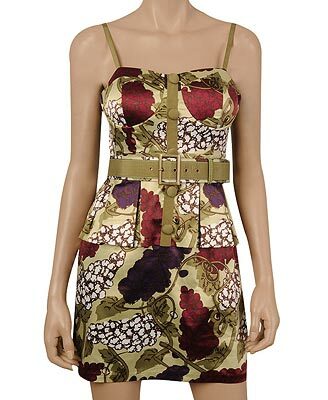 I love the print, I'm definitely a huge plaid fan. Nice! Your version is awesome. Cute dress! I love the plaid. It's perfect for that style. uhhhh-mazing!!! (as usual) Your stuff looks so tailored - you really know how to make something fit your body! 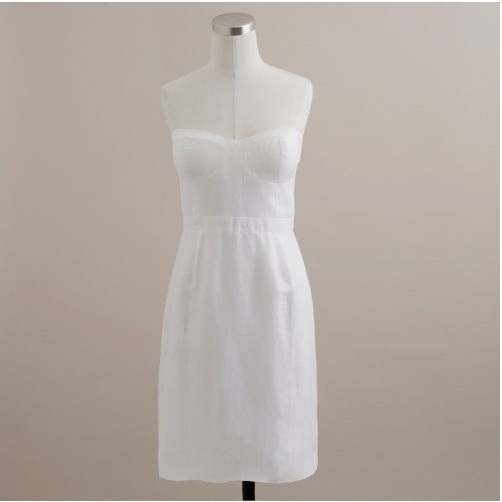 Love your version of the 'Taylor dress' and it fits lovely!! Thanks, folks! 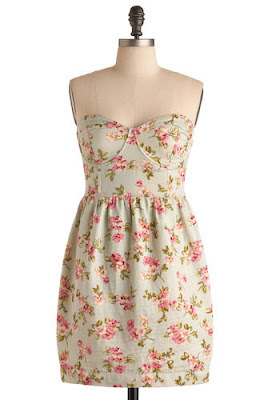 I actually thought seriously about adding thin spaghetti straps and may still do that. There's a bit of a bra showage issue in the center front with a higher-coverage strapless like I would probably wear with the dress, although I've also thought about adding bust pads! This post is wonderful! It's so great to see how you edited and old pattern to make it current and on trend. Awesome! Now I think I'm going to have to make a dress like that! By the way, if you haven't heard of this blog,www.madebylex.com, I think you should check it out as she is also very into copying J-Crew and Anthro tees. Very cute. You are a talented lady. Thanks for dropping by Beach Vintage. i love this style of dress. Yours turned out great. 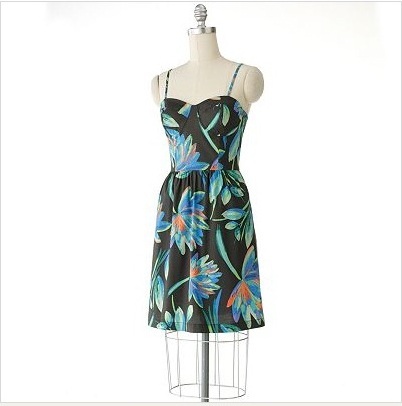 The vogue 1174 pattern is kind of similar to this shape too. WAY Cute - not something I could ever pull off, but darling on you! Great work! Wow - your version is amazing. The fit is beautiful!! I am seriously so impressed. I am just a random reader of your blog. Oh my! 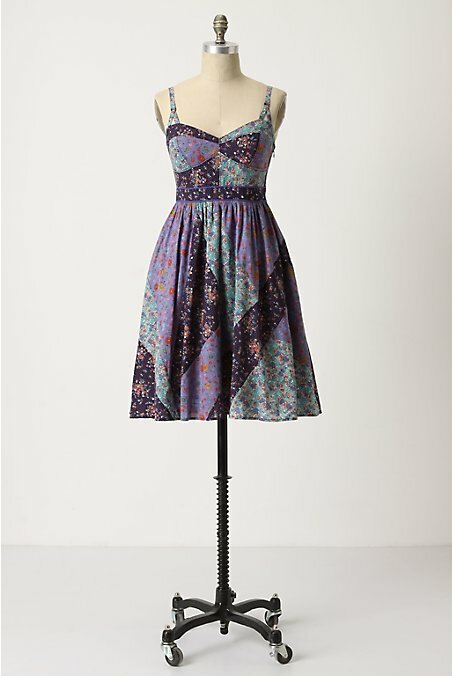 You can really sew and make pretty dresses. Have you heard of the coffee date dress pattern? This pattern is available online for free. Anonymous, yes, I'm quite familiar with the Coffee Date dress but have never made it. Did you mean you'd like a sew-along tutorial for the Coffee Date dress or the strapless dress? This turned out so cute. I love that you used thrift store fabric. You're dress is so cute and classic! 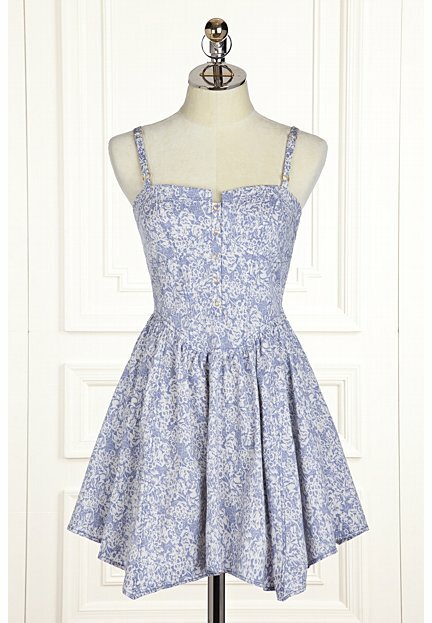 I don't think I could dare attempt one yet, but I love the dresses from Mod Cloth! It's a really fun, kind of old-fashioned (but still popular!) event that actually started maybe 10 or so many years ago, Now I think I'm going to have to make a dress like that. 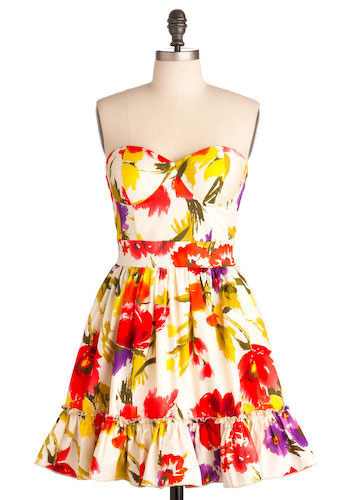 Ohhh I love this dress. You are making me want to learn enough about sewing to be able to even think about tackling something likes this. 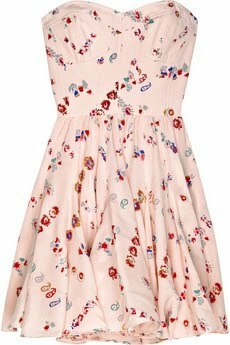 What an adorable dress this is. Very cute! This is wonderful! I love it! I read a post earlier, I'm new to your blog and catching up on all your wonderful projects, that someone else commented about how you make the bust lay so well. I wish that I could do that. Mine have always puckered. Never took a sewing class, self-teaching as I go.. Any advice?? I LOVE this. Can't wait to feel comfortable enough to alter patterns like this and make something similar!